Conference Planning: Inspiration Menu’s With Food Pairings For Your Guests! Uncork Niagara Event Planners offer a comprehensive variety of corporate special events, wine tours and custom sightseeing tours in Niagara Falls and Niagara-on-the-lake Wine Country! Kick it up a notch with a great meal at hidden away winery or local fine dining restaurant. Take advantage of the natural abundance local chefs have to offer using fresh Niagara ingredients for their menus and dishes. They have a passion to provide you with the most delectable dishes, Niagara Wine Country has to offer. 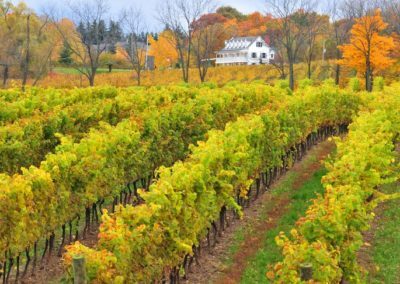 Niagara Wine Country has some of the most popular restaurants in the world! The Good Earth Wine Co.
Redstone Winery and many more! So if you are the person in charge of planning your company get-a-way or out of town meeting. Leave it all up to us! We will be sure to make you look good! If you would like more details please email or call us at any time and we will be happy to provide them to you. Wine Tours & Event Planning in Niagara Falls & Niagara Wine Country! Allow us to plan a group wine tour or team building activity for you in Niagara Wine Country this year! What they have to say!!! We are happy to offer you transportation pricing to and from your office or hotel in Toronto, Oakville, Mississauga, Kitchener, and Waterloo area for your activity here in the Niagara Region. Across from the Hare Wine Co.